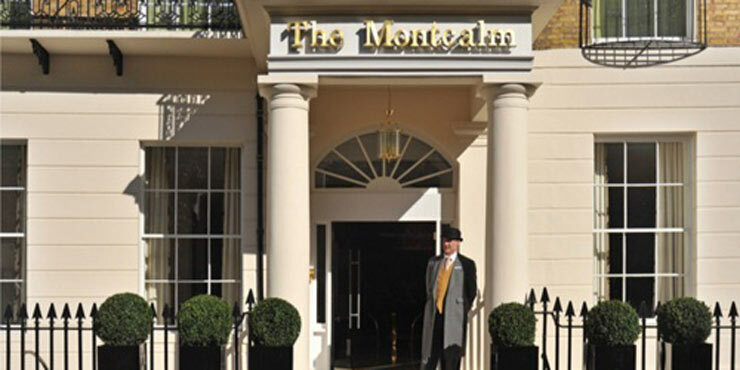 Located not far from Marble Arch and Hyde Park in London’s West End, the five-star Montcalm Hotel provides a superb choice of luxurious accommodation. The hotel bedrooms, restaurants, conference rooms as well as the wellness and leisure amenities all offer perfect comfort in a tasteful ambiance. The Manser Practice, a firm established by Michael Manser in 1962, has already realised numerous high-profile hotel projects and can also draw on extensive experience in planning office and administrative buildings, healthcare facilities, airports and residential properties for demanding clients. When they set out to furnish the new Montcalm Hotel, the firm’s interior designers sought to create a profound sense of discreet luxury. The result is a stylish interior with a fresh and contemporary design while preserving its heritage values. In the best of British tradition, the hotel is committed to the highest levels of service - guests staying in some of the top-end suites even have a team of dedicated butlers on hand to take care of their every wish. 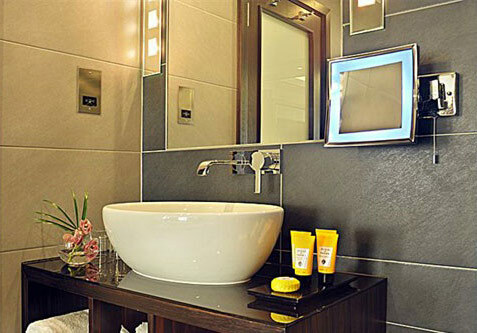 The rooms and suites are tastefully decorated and equipped to the state of the art in design and technology. By allowing guests to select their room aroma from a fine assortment of high-quality six senses exotic fragrances, the hotel has taken the concept of wellness to the next level. Lots of natural light create a relaxing atmosphere in the bedrooms and bathrooms, where glass screens reflect sunlight onto the stylish GROHE Allure faucets on the washbasins, tubs and shower walls. The single-lever mixers with their unusual combination of cubes and cylinders blend charmingly into this ambiance of sophisticated luxury.